Definition: Chickenpox is a highly contagious infection caused by the varicella zoster virus. It is also called varicella. 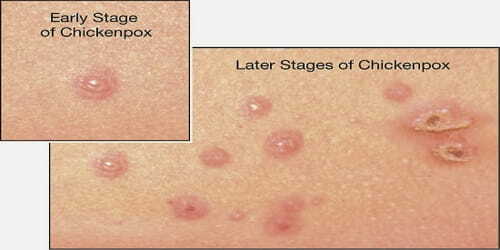 Chickenpox is characterized by itchy red blisters that appear all over the body. A virus causes this condition. It often affects children and was so common it was considered a childhood rite of passage. Chickenpox is highly contagious to people who haven’t had the disease or been vaccinated against it. Before routine chickenpox vaccination, virtually all people had been infected by the time they reached adulthood, sometimes with serious complications. Today, the number of cases and hospitalizations is down dramatically. The disease is often more severe in adults than in children. Symptoms begin 10 to 21 days after exposure to the virus. 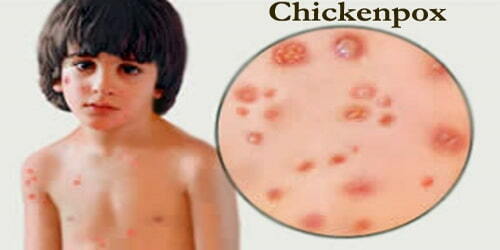 Chickenpox is an airborne disease which spreads easily through the coughs and sneezes of an infected person. It may be spread from one to two days before the rash appears until all lesions have crusted over. It may also spread through contact with the blisters. Chickenpox occurs in all parts of the world. It was not separated from smallpox until the late 19th century. In 1888 its connection to shingles was determined. The first documented use of the term chicken pox was in 1658. Various explanations have been suggested for the use of “chicken” in the name, one being the relative mildness of the disease. Causes, Sign, and Symptom: Chickenpox is caused by a virus called varicella zoster. People become infected after being in contact with an infected child or adult. It is one of the most infectious diseases. People who have never had chickenpox and have never been vaccinated are at the highest risk of infection. People have had recent contact with an infected person. People are under 12 years of age. People are an adult living with children. People have spent time in a school or childcare facility. People’s immune system is compromised due to illness or medications. An itchy rash is the most common symptom of chickenpox. The rash begins as small red dots on the face, scalp, torso, upper arms and legs; progressing over 10–12 hours to small bumps, blisters, and pustules; followed by umbilication and the formation of scabs. Chickenpox is rarely fatal, although it is generally more severe in adult men than in women or children. Non-immune pregnant women and those with a suppressed immune system are at highest risk of serious complications. Arterial ischemic stroke (AIS) associated with chickenpox in the previous year accounts for nearly one-third of childhood AIS. 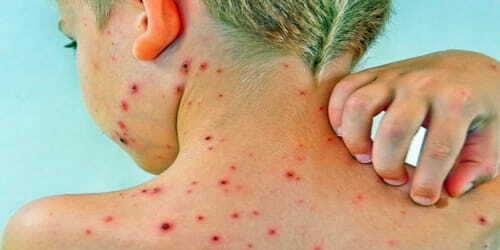 The most common late complication of chickenpox is shingles (herpes zoster), caused by reactivation of the varicella zoster virus decades after the initial, often childhood, chickenpox infection. Pregnant women, newborns, and infants up to 4 weeks old, as well as those with weakened immune systems, are more likely to experience complications. Most people who develop complications will make a full recovery.